Dreamtime, and to come get them. 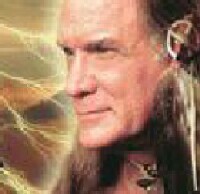 I am Tom Blue Wolf, Star Clan Faithkeeper and a Tribal Ambassador for the Lower Creek. I would like to offer some perspective for your consideration. Did you know that every month in the United States alone, over 1,000 indigenous youth commit suicide? Did you know that worldwide, a child under the age of five dies every three seconds? Are you aware that we are using up the worlds resources 20% faster than we can replace them and that at any given moment the United States only has a 3-day supply of food? Did you know that here in Atlanta, Georgia, we are already using drinking water intended for the year 2030? We are living in the times foretold by our ancestors. When we talk about the prophecies and act as if that is the future, think again. The prophecy is now! We are the living ancestors of tomorrow. We are the living embodiment of the future happening today. 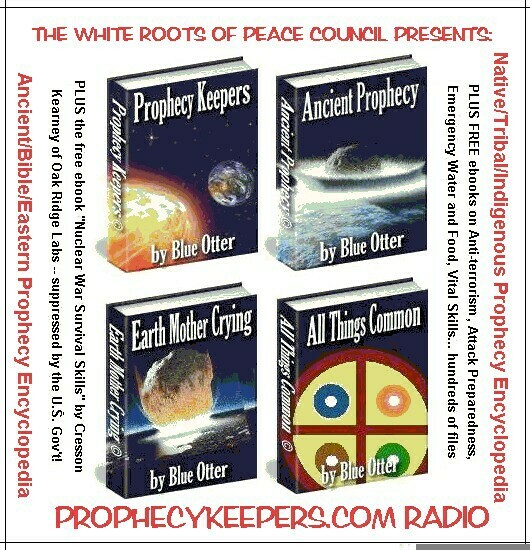 I just completed an interview on a show called Prophecykeepers http://www.prophecykeepers.com/). There intent is to discuss prophecies of indigenous cultures for purposes of raising consciousness and affecting change. The dialogue kept looking into what was foretold in the past, what was predicted back then and what that meant for the future of mankind. I continuously found myself bringing the message forward into the here and now. The future is NOW! Time is merely our rational ability to perceive events in a linear sequence, but fortunately, many of us are coming to realize that this perspective is a choice, a matter of the quality of free will. What if we collapse time in our mind and view the world and our role in it experientially  as though all things are possible and everything that ever happened or will happen is really happening right now, in this very moment? If we choose that perspective, we get a glimpse of the personal empowerment we are capable of experiencing. From this point of view, we exist in a place of infinite possibilities where time and its subsequent unfolding is a matter of choice. So, life is a point of view. Make it up. Whats your dream? Is it about clean water? Lush thriving forests? Happy babies? World peace? Loving relationships? What we do today profoundly impacts where we will be tomorrow. But truly, its not about tomorrow; its about right now. So what are we living into? Our rapidly developing consciousness is giving us this incredible ability to perceive the All That Is and use our infinite free will to have heaven on earth as we live and breath. This is the legacy of my grandfather. I am his living, breathing testament to the future. What am I doing? Am I taking responsibility for my part and living this moment in world peace and forgiveness, clean water, thriving babies, loving families, and food for everyone? The indigenous people of this planet have not forgotten the way and the means to access the greater reality, but right now, for many, the spiritual flame is dim. Some of the key energetic tools were put away many, many years ago for safe keeping until the time was right to use them again - in a good way - for purposes of healing humanity of its ills. That time is now. Leading a very special group, I will be traveling to South Africa on a sacred journey to recover lost healing songs of my Grandfathers. This is an unprecedented moment in history. I will go and do its bidding as I have been called forth. During this two-week journey, the Red Man (Native America Indian Nations) and the Black Man (South African Tribal Nations) will come together to exchange, share and honor their indigenous cultures and reverence for Mother Earth through the universal language of Sacred Ceremony. It is our intention to share this incredible event with the world in the form of a documentary. Now, less than two weeks away from Rekindling the Ancient Fires, Earthkeepers unprecedented sacred journey to South Africa, (see attachment), we have reached a critical point in our fundraising efforts to make the documentary of this most auspicious occasion possible. For those of you who resonate with the vision and dream to Rekindle the Ancient Fires, we ask that you support these efforts by sending a donation. We consider your support in the way of financial assistance as a blessing and an integral part of this journey. Holding sacred space and contributing to the ceremonies that will take place in the Motherland is as vital to the mission as the physical reality of being there. With a professionally constructed budget of $75,000 (available upon request) estimated to cover the various stages of production and editing costs, it would be optimal to have 200 people each donating $200 or more. This would allow us to reach our goal and put the quality of recording this event on a level commensurate with its legacy. In the alternative to monetary donations, we have a list of equipment needs and line items available upon request. Purchase of equipment or donations of qualified used equipment would be very helpful. All donations are eligible for a tax deduction. Donations of $500 or more will receive an official letter of charitable contribution. You will be deeply acknowledged for your support on the Certificate of Spiritual Commitment that will be presented to each of the elders and intertribal spiritual leaders during special ceremony and council meetings. For a contribution of $500 or more, your name, or the name of your organization, will appear on film credits and receive subsequent marketing benefits from distribution. The documentary will be entered into several US and international film festivals including the Sundance Film Festival, the prestigious Atlanta Film Festival, and various well-known galleries and international museums. Our success could create extensive publicity for South Africa and the US. Note: Any and all US and South African organizations and government entities supporting the project will receive full mention in the credits for their sponsorship and involvement in the production. We welcome joint public and private financial partnerships. We intend to seek funding from corporations and private foundations in the US as well as South Africa. A collaboration from both countries would add greatly to the quality, authenticity, and essence of what this journey is all about. Most importantly, your contribution will assist our efforts to share this historical moment and its deep ecological and spiritual message with the world! With particular focus on youth, the leaders and decision makers of our future, we would like to extend our reach and teachings into the public and private educational systems from K-12 to college and university level curriculums. Through this kind of distribution we intend to educate others on the importance and sanctity of sharing, and reawakening the dreamtime of world peace, earth healing and the harmony restoring balance to Mother Earth in keeping with the promise of the ancestors - insuring a future for generations to come. The documentary will also be used to help promote ecological and cultural tourism in South Africa, bring attention to the indigenous film industry there, and help stimulate environmentally and culturally sound economic development for the tribal cultures of that region in the world. For the Native American culture, we hold the vision that dissemination of this documentary will support healing of the wounds of disenfranchisement and restore the story so vital to the strength and success of this culture. We strongly believe that dispossession of the land and assimilation into western society has left Native American populations devoid of their roots, despondent and ill with alcoholism, diabetes, teen suicide, poverty and violence. We believe that the film medium is a powerful tool for transformation and that to see the deeper purpose of their story told through the artful eyes of the camera will be educational and inspiring not only for the hearts and minds of the Native culture, but for the community at large who perceives them and in effect, defines their role in society. EarthKeepers & Company is a US 501c3 non-profit organization dedicated to educating people of all ages on the importance of our relationship to the earth and one another. EarthKeepers operates in a wide variety of settings that promote planetary healing. 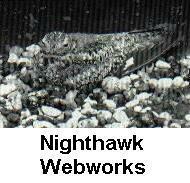 Please see our website for further information on this and other EarthKeepers projects. To contribute to the documentary film projectRekindling the Ancient Fires, please send checks payable to EarthKeepers & Company. For credit card payment (VISA, MC, Discover), please contact EarthKeepers via address, email, or phone number as listed above.